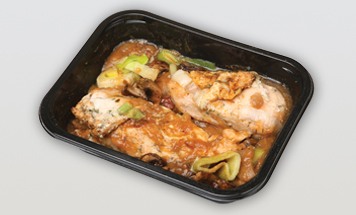 Different ready meal package formats require different properties. 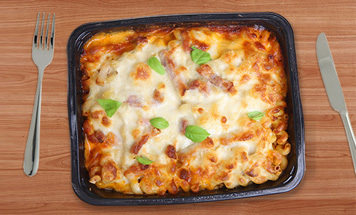 Excellent shelf presentation to boost consumer appeal is a must for a ready-to-eat meal delivered to the home or office. Enhanced product quality, freshness and convenience are also key features for an optimal eating experience. VSP top web for products packed in a high dome machine (more than 50 mm height profile). Suitable for use with most bottom webs.